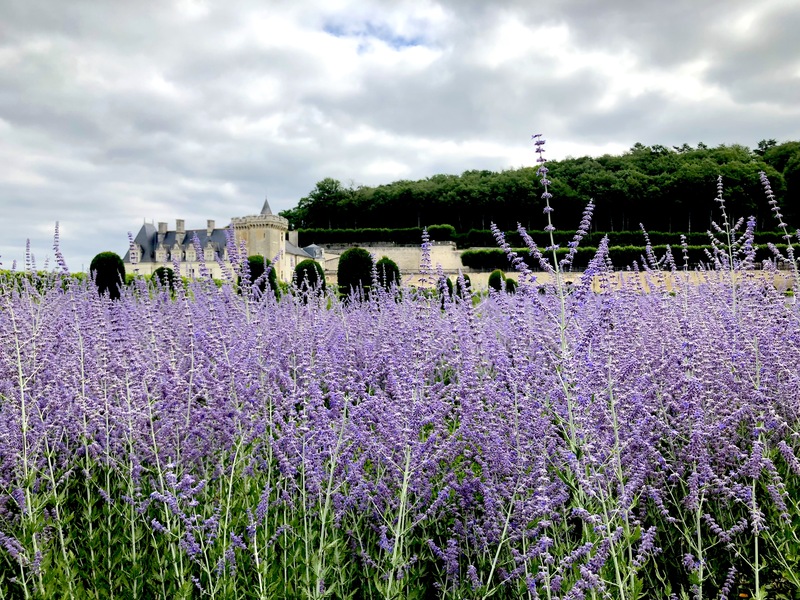 I arrived at Jardins de Villandry pretty much by accident as I had been traveling about France for just over two weeks, was staying in a nearby chateau bed and breakfast, and was seeking a place of calm to wander about without the clutter of tourists. Entering into my GPS “nearby gardens”, Villandry popped up, and while it is paired with a historic chateau, it was the gardens that I sought with eager anticipation (you can tour both or one or the other separately for different prices). Arriving mid-week in early July within 20 minutes of the garden’s opening, I was in the good fortune to have the grounds seemingly to myself (which I later heard from a local, is rare during the summer months). Needless to say, I lost track of time, let myself and my mind wander and began to feel refueled again. 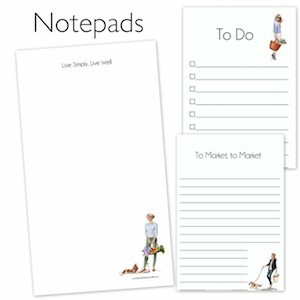 I think Alice Sebold is absolutely correct in sharing, “I like gardening. It’s a place where I find myself when I need to lose myself”, and I would add, even visitors to a garden are able to be gifted with the paradoxical gardening truth. Another truth, in this case about travel, specifically travel to lands we love, is that we are confronted with the reality that we sometimes are either not aware of or ignore, and such was the case for me one particular day leading up to my visit at this exquisite natural tourist destination. While I will spare you the details, the realization that status given without work often offers a false foundation was made quite clear. And when said foundation falls away or is weakened, the true character or individuals can be seen. All the more reason to keep checking the sturdiness of one’s foundation in life as we strive, climb and seek to achieve our dreams. 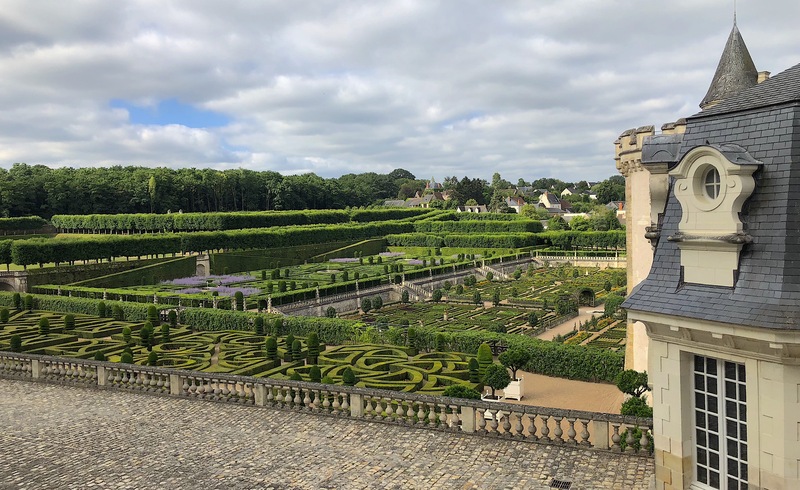 The wandering about Villandry’s gardens gave my mind the time to breathe, savor, appreciate, and garner great inspiration for while as Gertrude Jekyll suggests above, we can learn a lot when we choose to garden, and in return we are given much. Perhaps the symmetry paired with natural splendor to be as one (in this case plants) naturally is helped bring some clarity and calm. There is a power in balancing order with natural gifts and temperaments, and while it isn’t easy (the gardens clearly take an immense amount of regular work – see the amount of plants, etc. below), when we take the time to establish a direction that aligns with our most true selves, the journey becomes easier to travel. Not because it is obstacle free, but that we know which obstacle to face and which to not waste our time with. 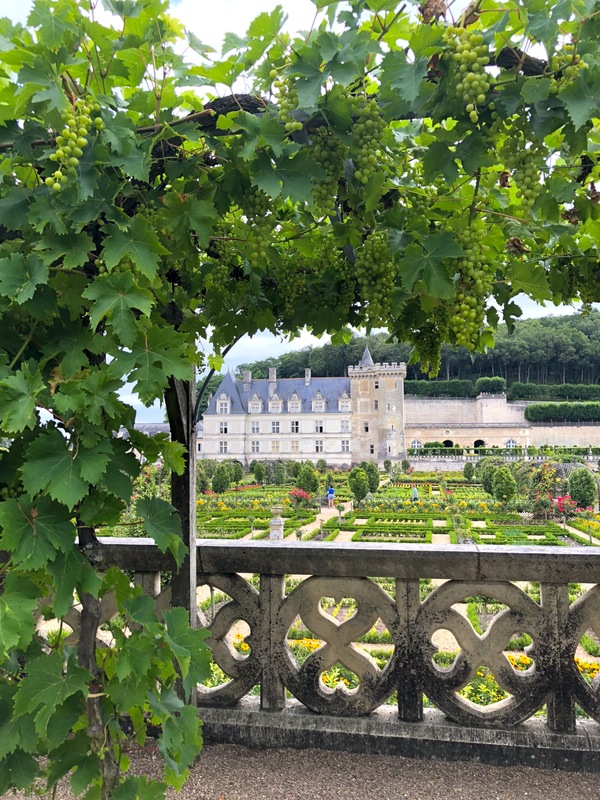 I highly recommend putting Jardins de Villandry on your itinerary if you will be in the chateau region (as I like to call it), the Loire Valley, in France. 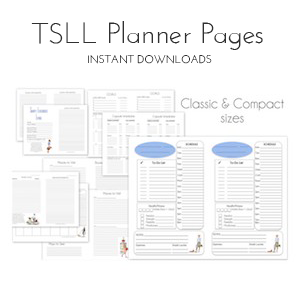 It will delight, it will calm and it will offer insights you may have never contemplated before. While I have shared a few pictures in this post, all of my pictures and videos have been compiled into a grand video collage set to the classical music titled “Days Go By“. Have a look below. The year that Jean Le Breton, Minister of Finance for François I arrived in Villandry, the only chateau along the Loire river that was not home to a king or courtesan. Having studied the art of gardening while the ambassador to Rome, Breton set about creating a large, expansive garden to be functional and beautiful. 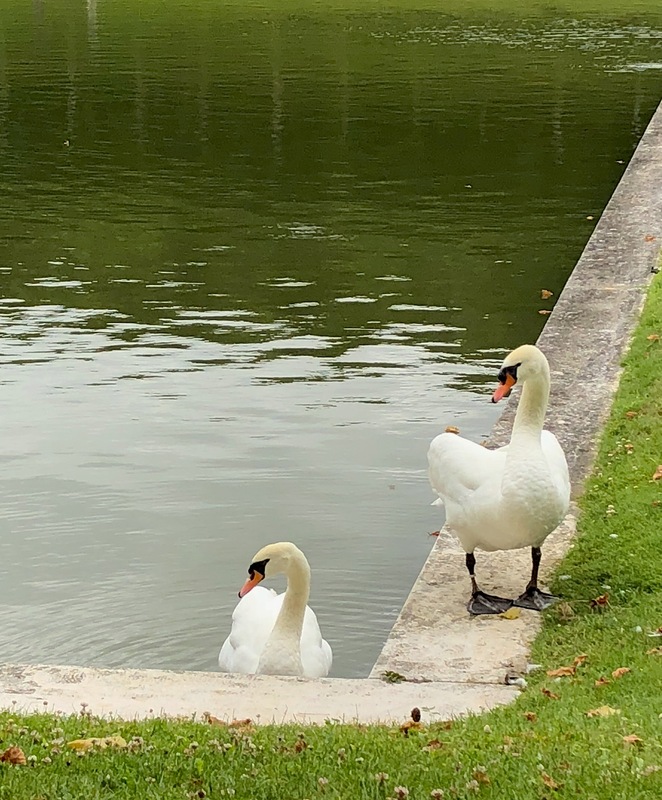 During the 18th century, the grounds of the garden expanded (as well as an ornamental lake added in the shape of a Louis XV mirror), and from there forward, the property exchanged hands many different times. But it was the monks that inspired how the pottage (vegetable garden) would be designed. Joachim Carvallo, in the early 20th century arrived on the grounds and returned them to their Renaissance aesthetic – a shift away from gardens inspired by the romantic English approach. Since Carvallo’s passing, the garden continues to adhere to the Renaissance inspiration, and in 2009 became completely organic. 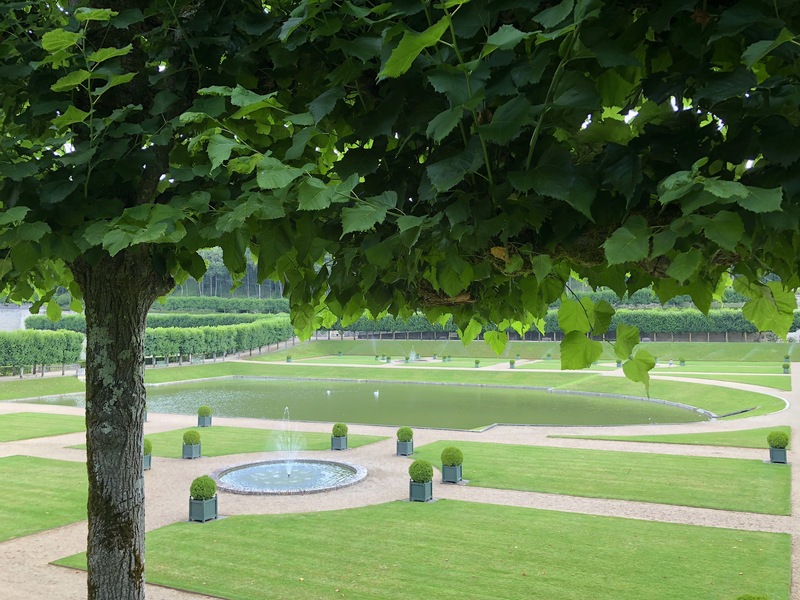 This shift was brought to Villandry by current head gardener Laurent Portuguez. The pottager (vegetable garden) is made up of nine large squares (have a look at the video to view this in full), equal in size, but offering different geometrical patterns in each. The objective is to create a multi-colored chessboard design, so vegetables of different colors are planted in each of the squares. 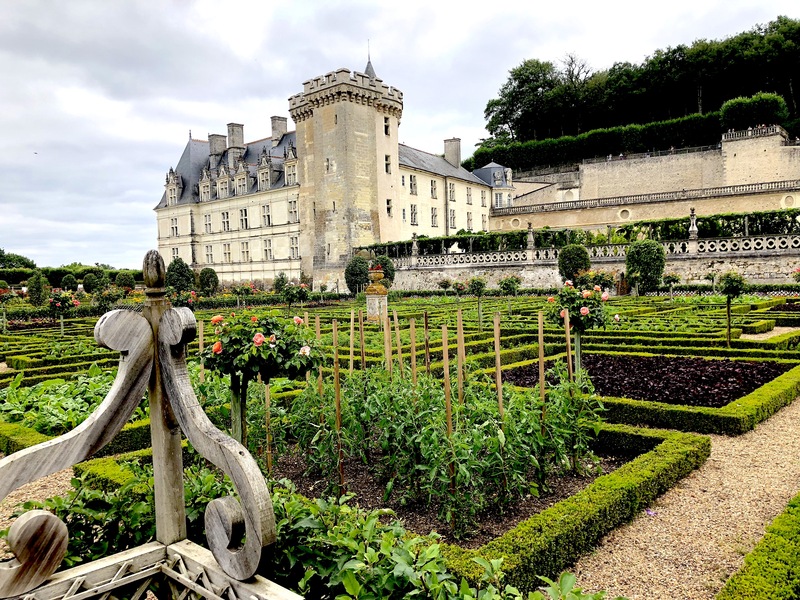 Kitchen gardens, which Villandry is, dates back to the Middle Ages, and it was the monks who would live in the abbeys who preferred to organize their gardens in geometric shapes. You’ll notice in one of the images below and in the video that throughout the garden, there are roses situated above the vegetables which are meant to resemble the monks working in their garden. Villandry’s pottager is the largest of its kind in the country. If you place the box trees end to end, they would measure a distance of 52km, and they have to be pruned between April and October every year. About 40 species, belonging to eight botanical families, are used each year. The layout of the vegetables is changed at each planting time – both for the color scheme and for the horticultural reasons of rotating crops everyday three years to avoid poor soil. Have a look to see what takes place within the garden each month of the year here. 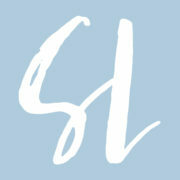 ~Learn more about Villandry, visiting, gardening and much more at its official site. Beautiful photographs Shannon, you have captured the beauty of the garden so well , and have created lovely reminders and lasting memories of your Summer in France . I’m really enjoying French week ! Thank you Anne. ☺️ And thank you for stopping by! Your article is so well written Shannon. I went from this sounds interesting to I have to see and experience this garden. Merci Beaucoup!